SencorpWhite (Hyannis, Massachusetts) announces the acquisition of Minerva Associates, a strategic merger designed to expand SencorpWhite’s complete warehouse logistics system solutions for the global market. Since 1947, SencorpWhite’s automated storage and retrieval systems have been a leader in the North American market. With Minerva’s unique software design features and SencorpWhite’s expertise in material handling equipment, this powerful merger provides the supply chain industry with the widest available range of warehouse automation products and support services. Minerva Associates, based in San Diego, CA, has provided warehouse management, warehouse control, and asset management system software since 1987. Serving a base of regional distributors to Fortune 500 customers, Minerva’s WMS, WCS, and AMS products are field-proven in distribution, manufacturing and 3PL billing & order management. This merger complements SencorpWhite’s inventory storage and retrieval products and extensive field-service options. It strengthens SencorpWhite’s expanding software resources and allows the SencorpWhite family to offer comprehensive, turn-key hardware and software solutions; solutions that improve accuracy and efficiency, and satisfy unique customer needs with increased configuration choices. This acquisition further strengthens the company’s overall value proposition in the market, in tandem with the 2017 acquisition of Intek warehouse software and the partnership with ICAM for vertical lift modules. “Our strategy is to be a great solutions company, and Minerva reinforces our position as a world-class provider of complete solutions for warehouse and storage automation,” said Frank Doyle, CEO of Connell Limited Partnership and chairman of its subsidiary SencorpWhite. “Minerva has a 31-year track record of providing great solutions to some of the world’s most recognizable companies, including large manufacturers and tech companies. This acquisition adds to our recently acquired Intek software bench strength multiple times over, and together we offer customers the strongest and most experienced WMS people in the business,” said Stan McLean, Intek’s VP System Sales & Implementation. SencorpWhite, a Connell Limited Partnership portfolio company, is a leading provider of unique end-to-end solutions for the packaging and management of high-value inventory. The company’s products and services – which range from innovative thermoformers and other packaging technologies to automated storage and retrieval systems and inventory management software – cover the entire supply chain spectrum, from the point-of-manufacture through distribution and to the point-of-use. For more information, call (508) 771-9400 or visit www. sencorpwhite.com and www.intek.com. 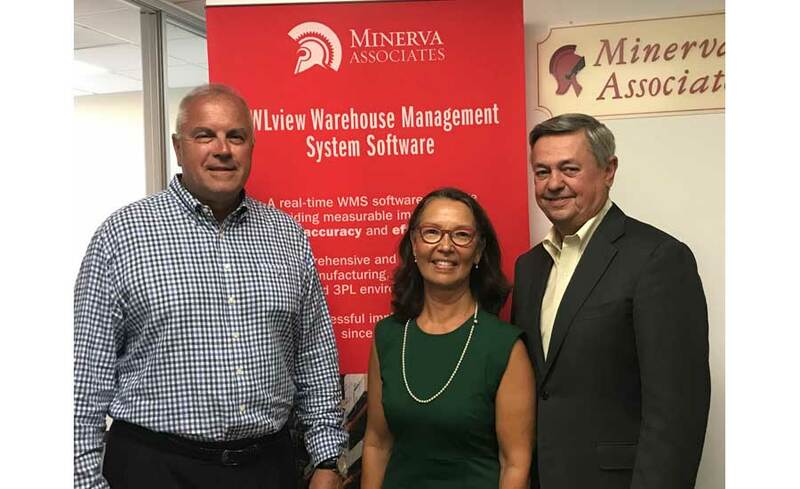 Minerva Associates was founded in 1987 and is the sole owner, designer, developer, and provider of the Advanced Warehouse Logistics software platform, AWL. AWL provides measurable accuracy and efficiency improvements for distribution, manufacturing and 3PL billing & order management, from small regional distributors to Fortune 500 manufacturing enterprises. AWL installations can be found in North America, Western Europe, and the Pacific Rim. Minerva’s product offering and passionate talent are what make them stand out from other WMS software companies. For more information, call (858)-792-8626 or visit http://minerva-associates.com/.